If you kids can't play nice, then you're gonna get a timeout. Possibly a permanent timeout if you're really bad. Let's face it, for as long as gamers have been playing online there have been trolls ruining everyone's good time with their inappropriate behavior. I'm not talking general competitive trash talking here, but the kind of stuff that's designed just to offend. Many online multiplayer games have their own reporting systems built in to help keep the community healthy. 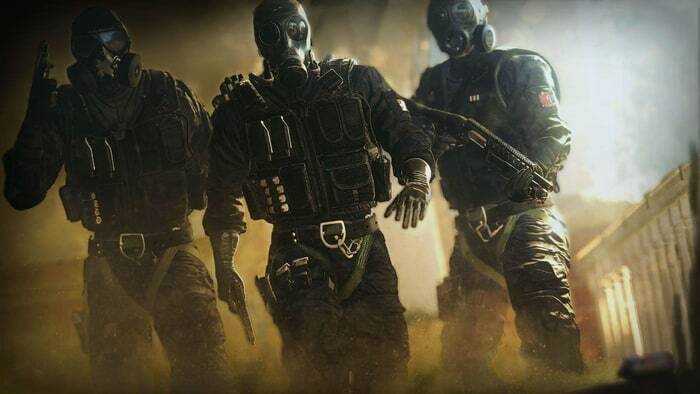 The latest title to take a stab at curtailing vulgarity is Ubisoft's Rainbow Six Siege. "We will be tracking the frequency at which language that violates the Code of Conduct is used by individual players, and will apply the appropriate ban on a case-by-case basis. Any language or content deemed illegal, dangerous, threatening, abusive, obscene, vulgar, defamatory, hateful, racist, sexist, ethically offensive or constituting harassment is forbidden." Players who receive a ban will get a pop-up notification and will have a global message display next to their screen name that explains why they were banned. Ubisoft claims that this is just one of its first steps towards building a better community and it will be rolling out more plans at a later date. waaaaaaaaaaaaaay too little too late. I like that there's a real-time global in-game broadcast whenever somebody gets banned. Seems like some idiot gets banned roughly every 10 minutes.